The film screening of the UK premiere of Le cose belle/The Beautiful Things (2013, documentary, 88 min, Italy) by Agostino Ferrente and Giovanni Piperno took place on the 5th of May 2015, at the Hyde Park Picture House. Le cose belle won 25 national and international awards, including the best Italian documentary 2013 at DOC/IT Professional Award and the Nastro d’argento Special Prize Best Docufilm in 2014. The screening was followed by a lively Q&A session with the film's directors. This event has been coordinated by Olivia Santovetti (Italian), in association with LivItaly, Italian@Leeds, Centre for World Cinemas and LHRI (University of Leeds). A 'film of the real' shot over 13 years, recounting the hardship – and the beauty – of growing up in Southern Italy. Adele, Enzo, Fabio and Silvana are shown in two crucial periods of their lives: as youngsters in a Naples full of hope in 1999 and then on the cusp of adulthood ten years later, in a documentary mash-up of film time and real time. All set in a city seething like magma, where good and evil are always so, so close, shaping the complex course of human lives. When Ferrente and Piperno made their 1999 film Interview With My Mother, a documentary for Rai Tre about fragmented adolescent lives, the four protagonists were asked how they saw their future: they answered with eyes radiant and brimming through the still vivid dreams of youth, and with that Neapolitan self-irony that helps defuse and erase the storms of life. At the same time, those eyes told of profound disenchantment. Maybe because catastrophe is always around the corner living in Naples: it's a threat – and also an alibi – that fills Neapolitans’ lives with resignation. Adele, Enzo, Fabio and Silvana: it's as if they already knew this, by instinct and upbringing. 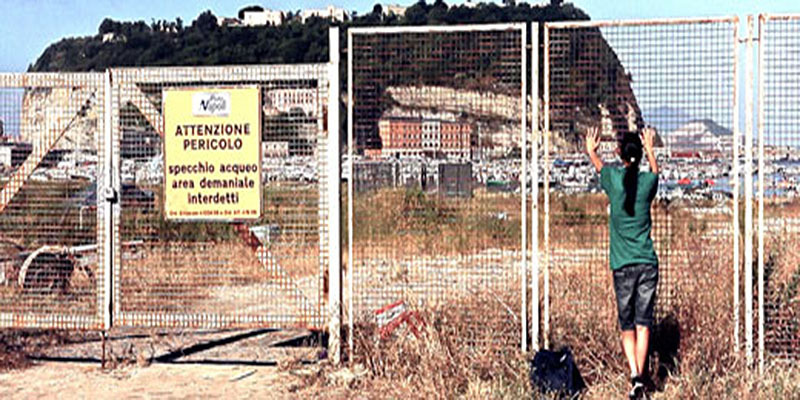 Ten years later, the Naples of the cultural renaissance that attracted artists from around the world has become a city submerged in rubbish. The directors went back to the four kids and filmed them for about three years: self-irony has given way to stark realism and they don't believe in the “beautiful things” anymore. Or maybe they've learned not to look for them in the future or the past but in the present. The fleeting present, lived with that broken-hearted yearning in the endless daily struggle for a decent existence; or better still, lived with resistance to the hardship and the difficulties, but somehow with dignity and beauty. And so we find them often swimming against the current and sometimes being carried away. For more info on Le cose belle: click here Festival di Venezia. PRIX AZZEDDINE MEDDOUR POUR LA PREMIÈRE OEUVRE.